AleSmith plans extensive building renovations for the building, which is scheduled to open in January 2015. “Westcore Properties is pleased to support AleSmith with a facility that can accommodate its unique brewing requirements and anticipated growth in San Diego’s popular craft beer industry,” said Hack Adams, Westcore’s senior vice president of acquisitions and leasing. AleSmith is now in a 20,000-square-foot property at 9368 Cabot Drive, a short distance from the new facility. Improvements planned for the new AleSmith building include a state-of-the-art brew house, cellar and bottling line from Krone’s, a leading German packaging and bottling manufacturer. AleSmith expects to increase capacity from 15,000 barrels projected in 2014 to 25,000 barrels in 2015. “After many years of hard work, I am very excited to guide AleSmith into the future with a facility that will allow our beer to reach more people and maintain our status as one of the world’s great breweries,” said Peter Zien, AleSmith owner in a statement. AleSmith Brewing Co. has signed an 11-year, $9.7 million lease for a 105,600-square-foot Westcore Properties-owned building at 9990 Empire St. in Miramar. Improvements planned for the new AleSmith building include a state-of-the-art brew house, cellar and bottling line from Krone’s, a leading German packaging and bottling manufacturer. AleSmith expects to increase capacity from 15,000 barrels projected in 2014 to 25,000 barrels in 2015. 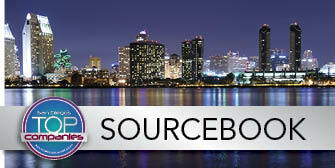 Westcore was represented by Mickey Morera, James Duncan and Jeff Brown of Cushman & Wakefield. Glenn Arnold with Cassidy Turley represented the brewer. AleSmith plans to add up to 25 new positions in production, retail, sales and management in 2015. AleSmith’s construction team includes project manager William Camacho of Urban Contracting; architect Mark Bankert of MarcaTects; Chris Slowey, also from Urban Contracting; Joe Mucher of Pacific Rim Mechanical; and Jeff Anderson of Empire Electric. Working with Ryan Crisp, AleSmith's head brewer and operations manager, the team facilitated production growth at AleSmith’s current facility and will be doing the same at the new location. Westcore and its affiliates have acquired and managed more than $3.9 billion in industrial and office assets composed of more than 550 buildings with 26 million square feet. In addition to its U.S. headquarters in San Diego, Westcore has regional offices in San Francisco, Sacramento, Irvine and Denver. The firm's European offices are in Geneva and London. AleSmith Brewing was founded in August 1995 in San Diego. Zien bought the brewery in 2002; the company employs 27 people.